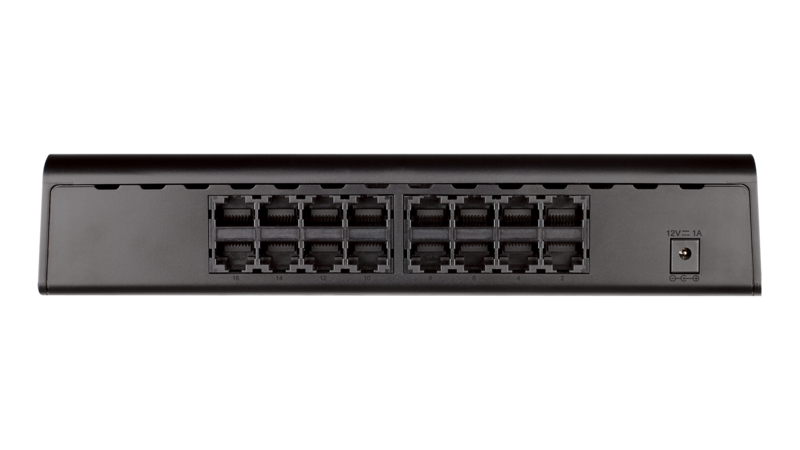 The 16-Port Unmanaged Gigabit Switch series brings the speed of Gigabit Ethernet to each and every port for a truly high-speed network. If your network has a mix of legacy and modern computing capabilities, each port allows for standard Ethernet, Fast Ethernet, or Gigabit Ethernet connections. You have the latest technology available to every computer and device connected to your network. 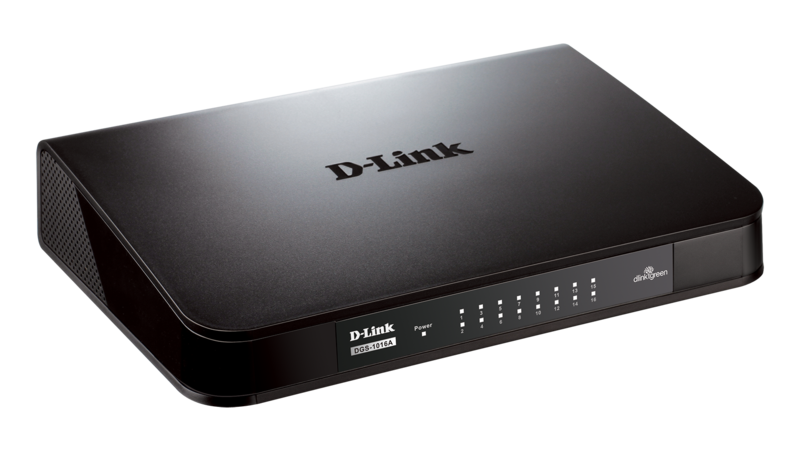 The sleek plastic case of the DGS-1016A series is an industry first for a Gigabit SOHO/SMB switch. Using a compact desktop style helps reduce heat levels and allow for a fanless design, making the switches silent, as well as economical. 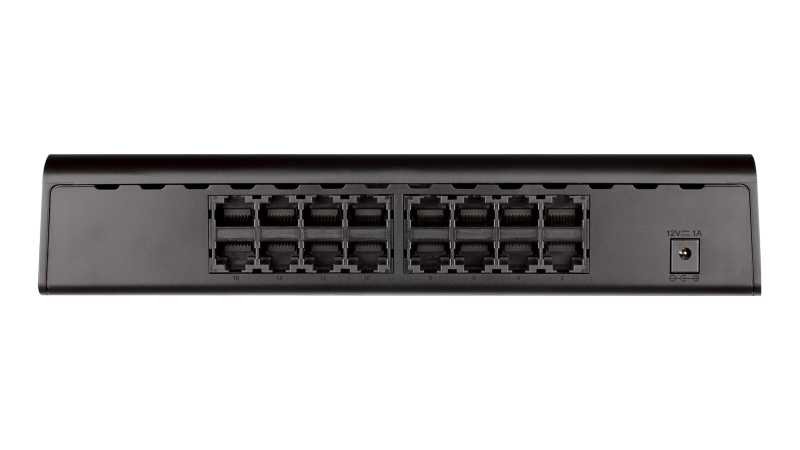 The 16-Port Unmanaged Gigabit Switch series is small, lightweight, wall-mountable, and ideal for any business with big needs and a small budget. The 16-Port Unmanaged Gigabit Switch series helps you conserve energy automatically through several methods. It automatically powers down ports that have no link, allowing the switch to save substantial amounts of power by cutting power usage for unused ports or any ports connected to computers that have been shut down. It can also detect connected cable lengths, and adjusts power usage accordingly, helping you save energy without affecting networking performance. 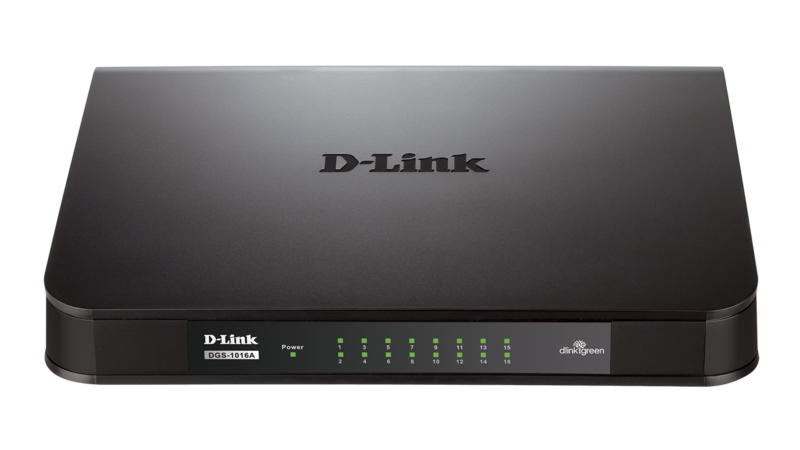 The DGS-1016A 16-Port Unmanaged Gigabit Switch series makes use of D-Link Green Ethernet technology, providing more energy savings and a longer product life, without sacrificing operational performance or functionality. These environmentally friendly switches are also RoHS compliant, use recyclable packaging, and minimize the use of harmful substances. 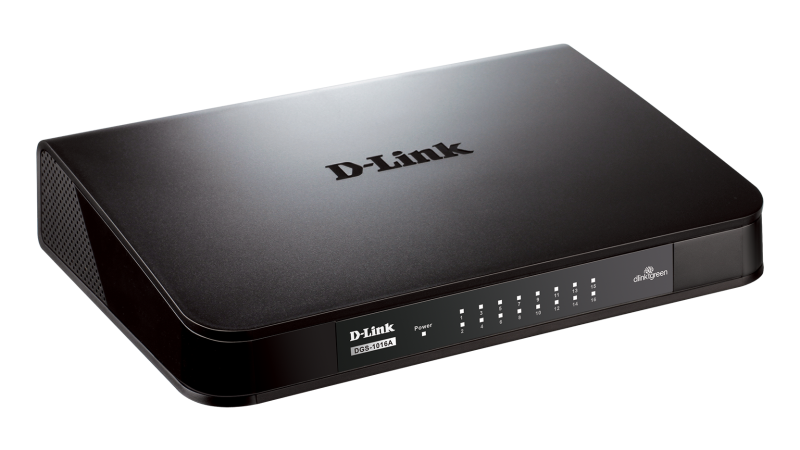 The D-Link DGS-1016A is a 16-Port 10/100/1000Mbps switch that works with your current Ethernet network while allowing you to upgrade to gigabit speeds. With an aggregated bandwidth of up to 32Gbps and up to 9K jumbo frame support, its addition to any network will dramatically improve traffic flow and eliminate bottlenecks. Installation is plug-and-play, as every port supports auto-MDI/MDI-X. DGS-1016A is an economical solution for bandwidth-intensive environments needing a compact desktop form factor.